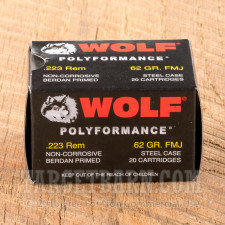 Wolf ammunition in .223 Remington is used by many owners of AR-15s and other .223/5.56 NATO rifles on the range. 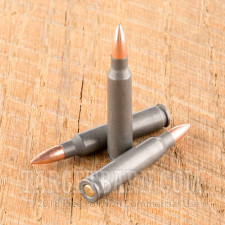 It is inexpensive, reliable, and accurate, with the only downside being that the steel cases cannot be reloaded. 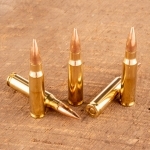 Each round in this case of 500 fires a heavy 62-grain full metal jacket bullet at 3,025 feet per second. 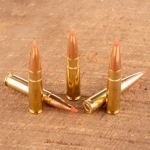 While this is not mil-spec ammo, it will produce external ballistics roughly comparable to those of M855 ball. 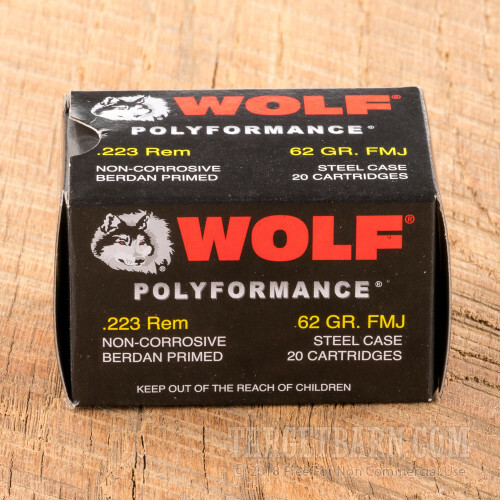 This ammo is made in Russia using non-corrosive Berdan primers and polymer-coated steel cases. 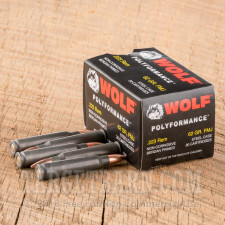 The polymer coating is the inspiration for the "Polyformance" name and plays a key role in this ammo's reliability by reducing the friction between the case and the firearm during feeding and ejection. 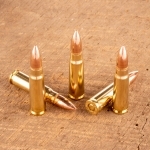 It is also more favorable than lacquer coatings since it produces less fouling. Wolf Performance Ammo has recently issued a statement that their ammunition should not be used in Smith & Wesson M&P 15 rifles. 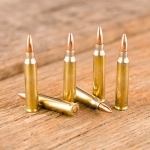 We strongly encourage you follow their advice for your own safety.